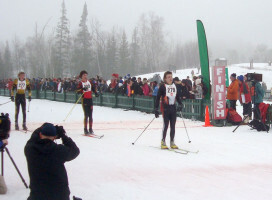 On December 4, a group of South High cross-country skiers braved the snow and frigid temperatures to venture to the Upper Peninsula of Michigan for a training trip. 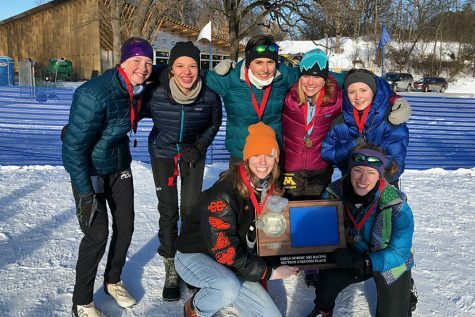 Last year, the team was unable to go on a similar trip due to a rule that prevented Minnesota state high school sports teams from travelling six-hundred miles or more for a competition, according to athletic director Mark Sanders. Sanders said that the rule was originally enacted to level the playing field between schools, because some teams with more money were “skirting the rules” by travelling for out-of-state competition. Especially in sports such as baseball and softball, teams would travel south to train in a warmer climate and play in scrimmages. However, the lines between games versus scrimmages became blurred. DeParde said that the team skied for about six hours on both Saturday and Sunday, and mentioned that, for him, “skiing was the highlight.” While the whole trip was fun for Kranz, she enjoyed being in nature and, of course, the snowball fights. Overall, the trip seemed to provide a bonding and beneficial training experience for the ski team.